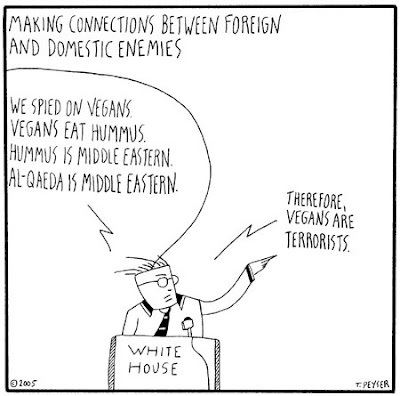 I like to think of veganism as the opposite of terrorism. Terrorists want to create, well, terror. Vegans (especially those who are vegans for anti-cruelty reasons) want to live and eat in a way that avoids suffering as much as possible. 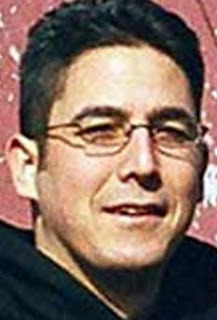 He's been on the FBI's most wanted list since 2009 for his alleged involvement in two 2003 bombings in the San Francisco area. He was indicted in the United States District Court, Northern District of California, in July of 2004, but escaped before being taken into custody. Obviously, terrorism is always upsetting. But this case is particularly troubling to me because San Diego is a vegan. According to the FBI, he has ties to the Stop Huntington Animal Cruelty (SHAC) animal rights extremist group and "is known to cook and make vegan foods, and he may be using this as his income." First of all... how does one use "cooking and making vegan foods" as a source of income? Could someone please explain this to me so I can get in on it? Second of all, this is bad news for vegans. I obviously can't speak for all vegans, but we are generally a peaceful people, and violent extremists are not representative of the vegan lifestyle and mission. Anyway, the notorious TV show America's Most Wanted is, apparently, good for something (other than terrifying families nationwide with its graphic dramatic reenactments of violent criminals who are on the loose in their neighborhoods). After a recent episode featured San Diego's case, a "reliable" tip came in, placing San Diego in Northampton, Massachusetts. My sister lives in Northampton! Katie, if you're reading this, and if your new boyfriend has a suspicious penchant for vegan food and bombs, well... sorry. He's a terrorist. If you, dear reader, see this vegan terrorist (he's six feet tall and 160 pounds), call the FBI and turn him in! He's giving vegans everywhere a bad name. If that doesn't matter to you, well, there's a $250,000 reward.